Before you get giddy, sign up for that online casino and part with your cash, have you thought about how legit it is? Have you considered whether the games are fixed so that the house takes every bet you place? Hate to put doubts in your head, but is there a chance this could happen? Fortunately not! All bona fide regulated sites use the random number generator (or RNG) to ensure the outcome of every bet placed is fair and totally random. 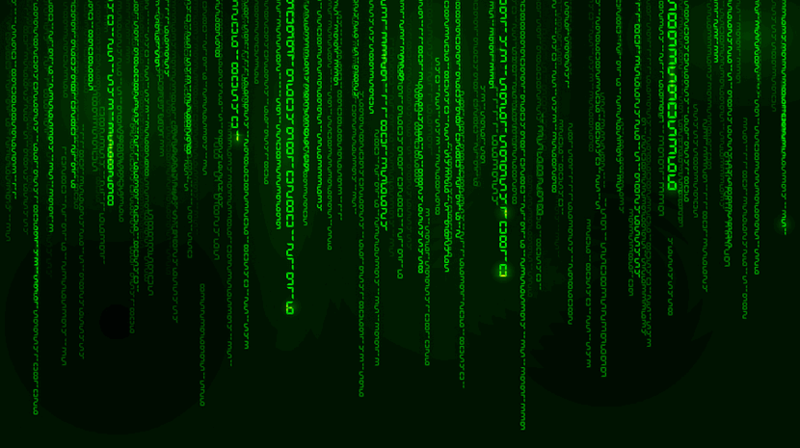 In a nutshell, the RNG is a computer program that produces numbers at random. Thanks to the RNG, you can access online casinos from your desktop or device safe in the knowledge that the licenced casinos use the technology to make sure the outcome of every game is produced totally randomly. The RNG of any game is an intricate computer program or chip that uses mathematical algorithms to generate numbers at random, one after the other. The randomness is important here because when you are playing casino games, randomness equals fairness. 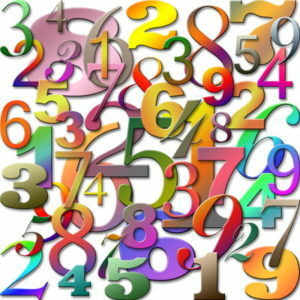 To ensure this is fair, the numbers that are arbitrarily created do not form any pattern and are impossible to predict. So, with every roll of the dice and spin of the reels you’ll get a result that is completely down to chance. The RNGs are used for games where there’s no dealer, making them essential for online casinos as well as the virtual games played at offline casinos, such as keno and video poker. This is where it gets complicated. There are different types of RNGs and the ones used by online casinos are called pseudo random number generators. Unlike true RNGs (often referred to as hardware generators), which extract randomness from something physical and input it into a computer, pseudo RNGs don’t need any external input. These pseudo RNGs use a seed number (a symbol or number) and an algorithm to produce a new number. This combination means that it doesn’t need external data to operate. It is also constantly working, so it is always producing numbers. The ongoing process means new numbers are formed from taking the previous numbers and using a mathematical operation such as multiplication to form the next number. Then this new number will be divided to form the next number and so on. As such, there is a different mathematical outcome every time. Thus, the ‘random’ outcome is produced. We need to pause here and think about what random actually means. What is it, exactly? Well, according to the Oxford English Dictionary definition, it is something that is ‘made, done, or happening without method or conscious decision’. When looking at it from a statistics point of view, random is something ‘governed by or involving equal chances for each item’. 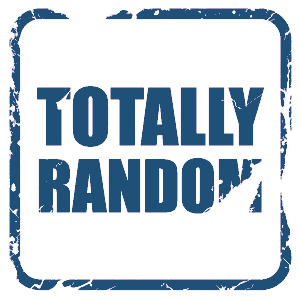 If we look at the idea of randomness from this general definition and apply it to casino games, it is clear that the concept of something being ‘random’ is not quite what we are after when invested in a game of baccarat or slots. As a player, we are invested in the game and every move we make is, in fact, made with a conscious decision, and it is certainly done using a method. So that part of the definition does not apply. However, when we look at the rest of the general definition: ‘…or happening without method or conscious decision’, we can see that this is exactly the outcome we want. As a player, we expect something to happen without conscious decision. We expect the outcome of spinning the wheel or rolling the dice to happen without a conscious result, otherwise, the game is not truly fair. Then, if we dig a little deeper into the idea of the statistics part of the definition – because ultimately, every casino comes down to statistics – we apply this idea that the game we are playing does involve an equal chance. We believe that when there is a 50-50 outcome, there is an equal possibility of the coin being heads or tails, for example. Following these definitions as we play an online casino game, we can see that, as we have placed our bets at random (because even if we are using a strategy, we cannot be 100% certain of the outcome unless we have found some way to cheat the system – but more on that later), we expect the outcome to be random and to happen without a conscious result. Each bet we place is a game of chance, and when we roll that dice we put into action a chain of events that will culminate in a conclusion that cannot be predicted. As we have already mentioned, when placing our bets we expect the outcomes to be random. It is critical that these numbers and outcomes are random because otherwise the game is unfair, and the integrity of the game and/or casino could come into question. Therefore, not only do we want the games we play to have random results, it is actually crucial for every game. The nature of the result or outcome of something being random is that it happens without foreknowledge of the result, otherwise it is no longer a random event. Each random outcome is totally independent of the previous outcome. Yet there is the possibility that, over time, these random outcomes form a pattern. These patterns need not happen as a direct result of, for example, 50 spins of the wheel; they could happen accidentally over time as long as there is enough opportunity for it to occur. These patterns are often the reason why players continue to place their bets for a prolonged period of time. They expect the pattern to form over time and have a ‘feeling’ that their number will come up or the ball will stop on their colour. To hit the jackpot and walk away with a large payout, then, it makes sense for players to want to create and use tactics that predict the pattern and beat the system. They do not necessarily want truly random outcomes as they want to take home the cash prize – but this just means that these players do not fully comprehend the nature of randomness and how it applies to different online casino games. This is where the RNG comes in. It is designed to prevent patterns easily occurring and being identified, in essence, it attempts to replicate the arbitrary outcome of physically flipping the coin. However, while random outcomes occur without a specific linking cause, and although they do not follow any rules, they do happen because something set the wheels in motion to create the outcome. Therefore, even the computerised motions set in place that act on an RNG are not totally reliable. While there are those players who refuse to accept the concept of something being random, there are those that believe random events just happen. Regardless of the path you take when playing online casino games, the reputable casinos work hard to ensure that the numbers you see are random. This is because the games need to be seen to be fair. The question of whether a game is fair is at the heart of every bet you place. You want the outcome to be the correct one. You want it to be the one that was destined for you. Without this belief, you would think that the games you are placing your bets on are unfair, and fairness is the most basic takeaway from every prediction you make. Because, ultimately, casino games are all about you making a prediction and the game coming back to you with a random answer. The element of randomness is what makes it fair and just. 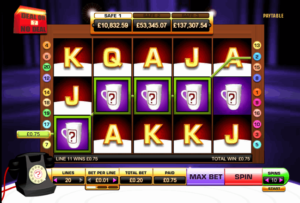 The RNG is a feature of these online games that you are betting on that ensures fairness. 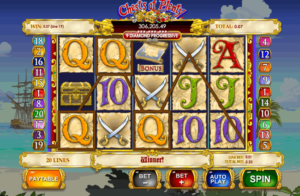 In addition to being used in gambling, they are applied to other areas such as computer simulation technology and cryptography. While there are other hardware generators out there that can be used, a lot of industries that require random answers or outcomes will use RNGs to produce the required results. This is largely because random outcomes are unpredictable – or, in the case of RNGs, work hard to give the appearance of being unpredictable – and this leads to an equal and fair playing field. Although the concept of the RNG is to create totally, unequivocally random numbers, the question of this being the case is contentious. The thing is, the RNG is a machine and machines are created by humans rather than nature so by definition they can’t be truly random. That is, over time the next step will become predictable and eventually form a pattern. Having said that, this pattern would take an inordinate amount of gameplay and millions of instances for you, the player, to see. But even then, it would only be a general guide and not a pattern that is set in stone. The whole point of using RNGs is for the casino to protect itself against someone predicting the numbers and these must be the very best RNGs in order to do this, otherwise the casino would go bust. Can RNGs Be Rigged or Fixed? And what about the casinos? Can the RNGs be rigged in favour of the house? It’s possible. RNGs are essentially just computers based on algorithms, and there is always a possibility that these computers can be hacked. In fact, while it is extremely difficult to cheat the RNG system, it has been done once before. In 2008, a player named Ron Harris created his own program that was able to predict the results created by an RNG. He managed to win a lot of money by using the program on games of keno, but he was ultimately found out and sent to prison. Since then, regulation has been tightened up and improved significantly. Respectable, fully regulated and licensed casinos are regularly tested to ensure the gaming is in compliance with the rules. It is essential that these rules are being followed and the games are fair and random. To do this, the majority of RNGs at both on and offline casinos are tested by third parties – accredited testing agencies that run checks on the software. If you do some research into the casino you are playing with, you can find out which agency last tested the RNG. Two of the most well-known and respected agencies to look out for when you are deciding on the casino you’d like to play with are Technical Systems Testing (TST), which is part of Gaming Laboratories International, or eCOGRA, the eCommerce and Online Gaming Regulation and Assurance. By passing these checks, the casino can officially brand their games as being fair, so this means they are trustworthy and their games are random. Today, unfair systems or ones that can be hacked into with programs similar to those created by Ron Harris are rarely missed. When you are trying to work out which casino is above board and offering the fairest gameplay, you can look out for the certificate, badge or accreditation logo and see straight away those that are safe to play at. We have already mentioned two of the main testing bodies in the UK, but it is important to know a little more about regulation and how the different regulatory bodies work in order to ensure the casinos are operating fairly and ensure your money is being processed correctly. Before we focus on the main test houses to look out for, you need to know about how the Gambling Commission fits into all of this. The UK Gambling Commission is the overarching regulatory body that you will see referenced on every single trustworthy casino site. In a nutshell, this is the governing body that licenses and regulates all of the businesses that provide gambling in Great Britain, and it covers everything from online casinos and bookkeepers to the National Lottery. 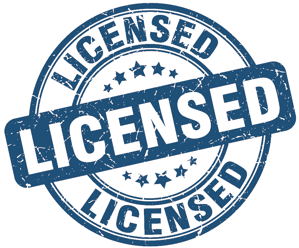 The Gambling Commission was established under the Gambling Act 2005 to regulate commercial gambling, and it does this in partnership with licensing authorities. Every casino that you play at – both on and offline – will need to be regulated by the Gambling Commission, and they will all have a licensing number that has been issued by the organisation. How does the UK Gambling Commission fit into how RNGs are checked? Well, there is a group of approved test houses that the Gambling Commission has approved, and these are the ones to look out for. As mentioned earlier, these test houses run assessments on the online casino software, covering everything from RNGs to payouts, and when you see certificates and badges issued by these testing houses in place, you can be assured that the casino you are playing with is, by extension, approved by the Gambling Association. This is reassuring information that means you are playing at a legitimate casino that is following the rules. If you look at the Gambling Commission list of approved test centres, you will see GLI on there. GLI, or Gaming Laboratories International, has been testing and certifying the gaming industry since 1989, and TST is a GLI company. TST was established in 1993 and has built a reputation for offering a range of testing services to the iGaming and land-based casino market. It follows stringent regulatory requirements and checks for best-practice standards. 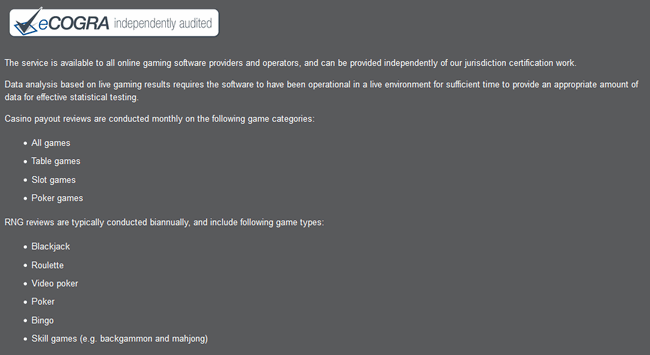 These include: Interactive Gaming Systems, the standard that covers the requirements for single and multi-player games; compliance testing that ensures iGaming (online casinos) are working in a way that is consistent with regulations and policies – this includes RNG evaluations and ongoing RNG or game payout verifications and reporting; quality assurance testing, which checks that the systems are working to the correct specifications; and transfers of approval, which is where – should the iGaming components have been tested by another testing authority – TST can transfer the previous approvals by the other testing house to help save on testing time and the re-testing required. eCOGRA – the eCommerce and Online Gaming Regulation and Assurance – was established in 2003, and since then it has specialised in the certification of online gaming software and systems. Its test engineers are highly trained specialists in the field of online gaming, and they can perform evaluations of the various gaming systems on and off-site. 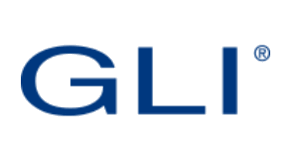 The areas covered by eCOGRA include: jurisdiction approvals, meaning it is accredited as a testing agency by online gaming jurisdictions across Great Britain and beyond, and regularly performs reviews to check casinos are in compliance with each jurisdiction’s regulatory requirements as these vary from country to country; security reviews for both online casinos and software suppliers – this is important because players can be assured that all bases are covered in terms of checks being run; RNG data monitoring, analysis, and certification services that use live gaming data to over 100 online gaming sites; and self-regulation, a service that allows software suppliers and operators to run their own regular checks. Since the 1990s, Gaming Associates (GA) has been a leading consultant to the iGaming industry, covering everything from regulations and security to fairness. GA works closely with operators to ensure they maintain levels of trustworthiness and legality – and to maintain legality, the casinos’ RNGs need to be safe and fair. The areas covered by GA are detailed and cover all aspects of the industry, including checks for regulators, investors, operators and vendors. Having provided assessment services for almost 30 years, GA is a leading name in all areas, and the testers work with senior policy officers and law makers to ensure all testing meets legislation and regulatory requirements. Are There Casino Games That Do Not Use RNGs? The next major consideration is whether there are games that do not use RNGs. Because, surely if there are no RNGs on some games, players can beat the system? If you are thinking like this, you are forgetting the purpose of the RNG. The RNG is just a computerised version of the wheel or dice, for example, so the RNG just mimics what would happen during a live casino game. As such, live casino games do fall into the online casino games category that does not use RNGs, however that doesn’t mean players can predict the outcome. When it comes to live casino, RNGs cannot be used to create a fair outcome because they use real live dealers rather than machines, so in live gameplay the same techniques that are used in land-based games are employed to ensure each outcome is random. To prevent card counting and other strategies that exploit the gameplay, a newly shuffled deck of cards is used for each hand in a live game. This means that, while the results are still random, there is a possibility that they are not as random as the outcome from an RNG. With this in mind, the question of transparency is at the forefront of all live gameplay. This is why you will find that when you play live casino games that are run on software provided by Evolution for example, there will be the option to see almost 3D gameplay via the multiple camera angles that are available. 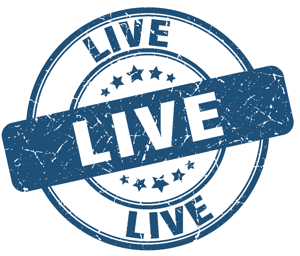 Again, if there is a valid license and audit certificate supplied by a reputable testing body, you can rest assured that the live online casino games have been assessed and checked thoroughly for fairness. Although you may hear of players trying to cheat the system or casinos trying to influence the RNGs or another tampering issue, if the casino is being regulated and checked by third parties it is impossible for the RNG to be cracked. If you are playing at a licensed casino, RNGs used in casino games are safe and random, meaning they’re fair. There is a high risk of unfair payouts if you opt to play at an unregulated casino, but there are so many legitimate and tested casinos out there to choose from that there just isn’t a good reason to stray into unregulated territory. Ultimately, if you can’t see a badge or certificate it’s best to steer clear and find an alternative where you know your money will be placed fairly.